Bath is often said to be the most beautiful town in Britain. A great base for a holiday, a popular weekend break destination and even visitable as a day trip from London, the city has lots to offer its visitors. This website is an ‘insider’s guide’, designed to be a useful resource for holidaymakers planning to stay in Bath. 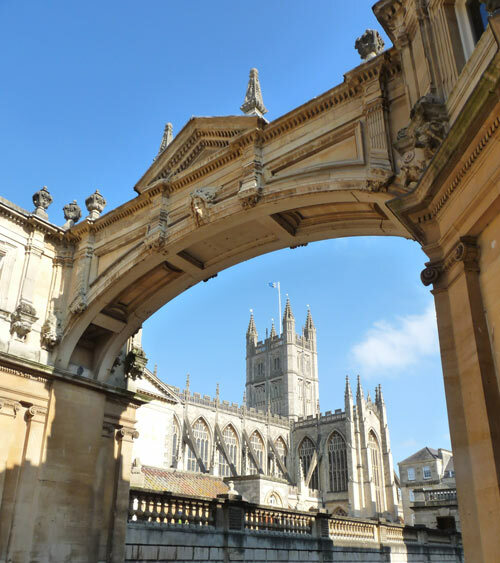 Here you’ll find details of the best things to see and do in Bath (as chosen by residents) as well as recommended excursions from Bath and tips on walks, getting the most from your stay and how to see Bath on a budget. 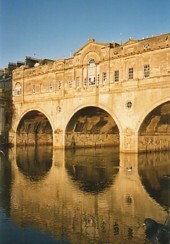 Bath is a popular day trip destination for tourists. But a few hours trailing around the main museums or sitting on an open-top bus won’t give you much more than a fleeting impression of the historic town. Bath is a unique destination with layers of historical associations and a mellow atmosphere that is all its own, and to really appreciate the city you need to stay more than a few hours. In fact, for overseas visitors planning a vacation to ‘see’ the UK, Bath can make a very good base. London is less than two hours away by train, so you can easily spend a couple of days exploring the hectic big city before unwinding among Bath’s more peaceful charms. And if you really want to get to know England, you’ll find many of the country’s different facets all within a short distance of Bath, from chocolate-box villages to historic harbours. The brief facts: Bath is a city (population approx. 100,000) located in the south-west of England, not far from Bristol. The earliest documented inhabitants were the Romans, who indulged themselves in Bath’s thermal springs (unique in the UK). Bath’s second high-profile era was the eighteenth century, when the town was a hugely popular resort for royalty, aristocracy, gamblers and rakes. In between ‘taking the waters’ at the Pump Rooms, and attending colourful assemblies, Bath’s Georgian tourists indulged in all manner of intrigues, and the kind of superficial lifestyle described by one-time resident Jane Austen. In the eighteenth century Bath was re-designed as an outdoor showplace for Georgian society. Almost the entire town centre is a coherent and attractive harmony of honey-coloured limestone terraces. Among the town’s architectural highlights are the curved and panoramic crescents, and Pulteney Bridge, where you can pause to shop while crossing the river Avon. Bath has several fascinating galleries and museums devoted to subjects ranging from the town’s Roman past (a trip to the Roman Baths is unmissable) to the history of costume. 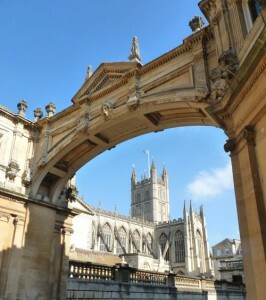 If you’re tired of sightseeing, Bath offers a reasonable range of cultural and entertainment options. The Theatre Royal sees major touring productions, while there are several cinemas and many good restaurants, pubs and cafes. There are festivals in Bath throughout the year, and plenty of outdoors summer events. The surrounding countryside offers excellent possibilities for days out and walks.